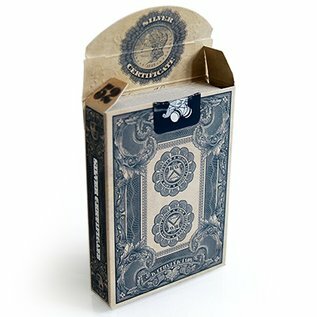 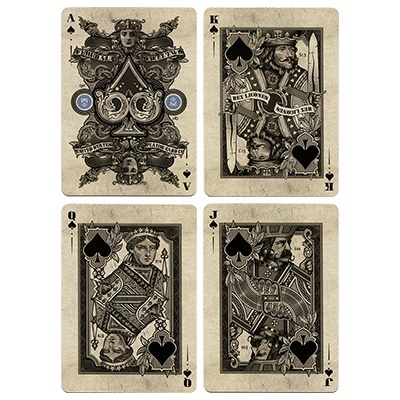 "The Bicycle branded Silver Certificate deck is the third deck released in the Federal 52 series. 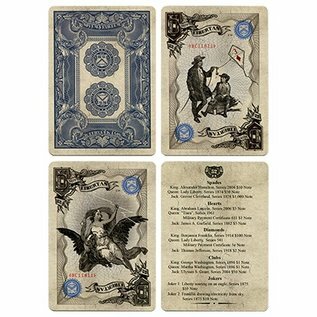 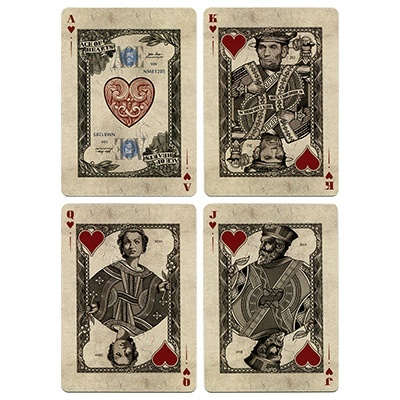 Inspired by US Silver Certificate Bank notes of the late 1800s and early 1900s, the Silver Certificate deck features new, hand-drawn renditions of the presidents and other key figures found on US currency. 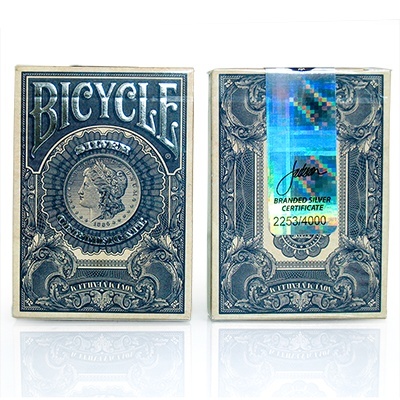 All Branded Silver Certificate Decks come with an individually number holographic seal on the outside of the cellophane wrapper. 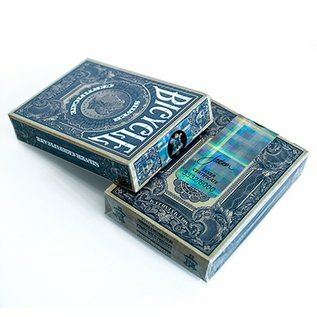 This deck was a Limited run of 4000 total decks."